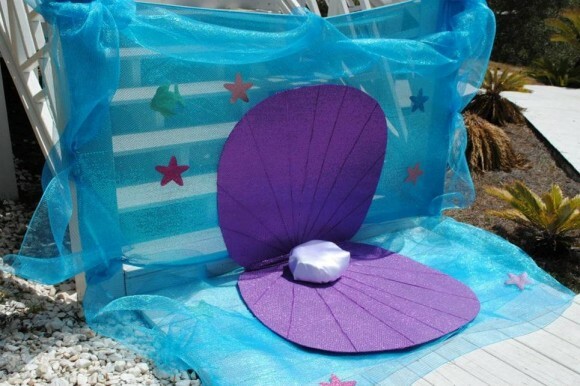 When you have a child whose fondness lies greatest with princesses, specifically mermaid (or muh-maid, as this sweet child likes to call them) princesses, an Under the Sea birthday party theme makes for an obvious choice for a fun outdoor party! 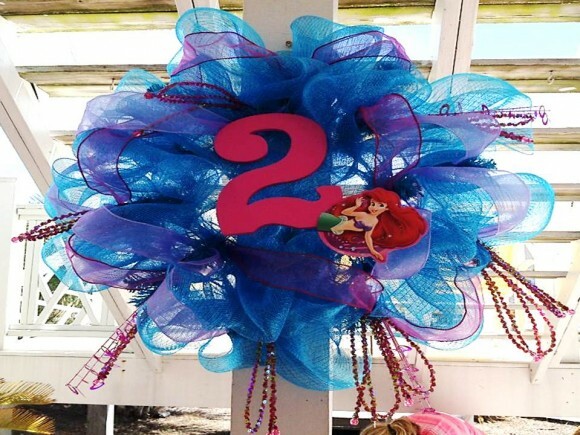 Like most children’s birthday parties, although these specific pictures capture the theme for a little girl, with a few tweaks (minus a few princesses), the ideas behind this party could work just as well for a boy’s birthday party. 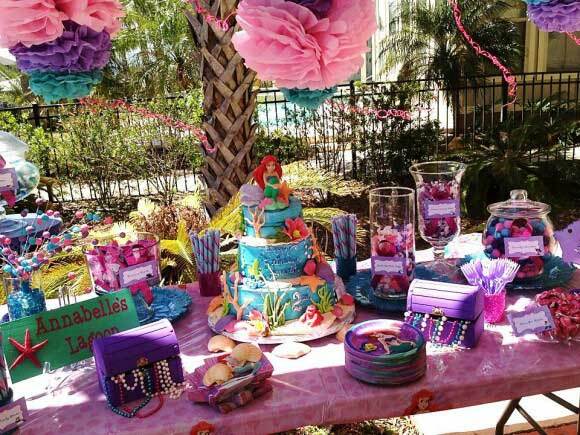 Being surrounded by a group of girl friends that excel in DIY, party planning, and coming up with super creative ideas, I knew that once the babies started coming, each year would be filled with a new and exciting children’s party theme. 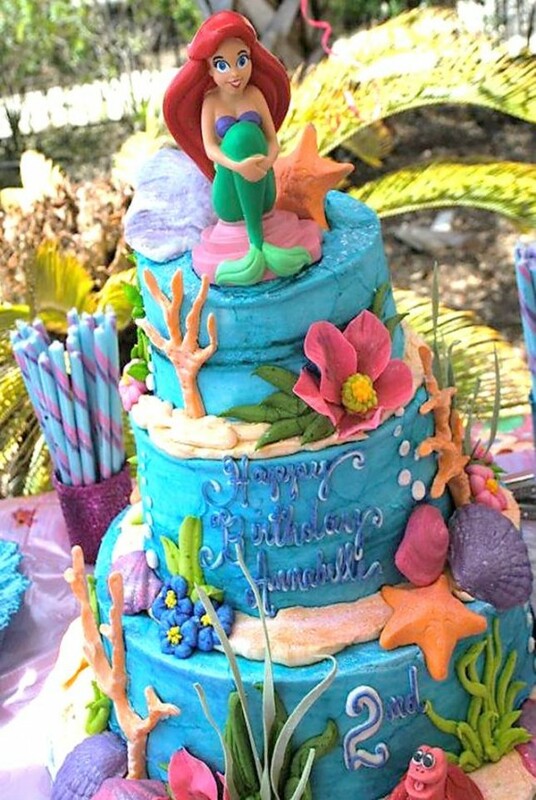 This Under the Sea birthday party took place poolside at a beach house near the gulf. My very creative and crafty friend had been working on the party for weeks (ok, probably months!) in advance. 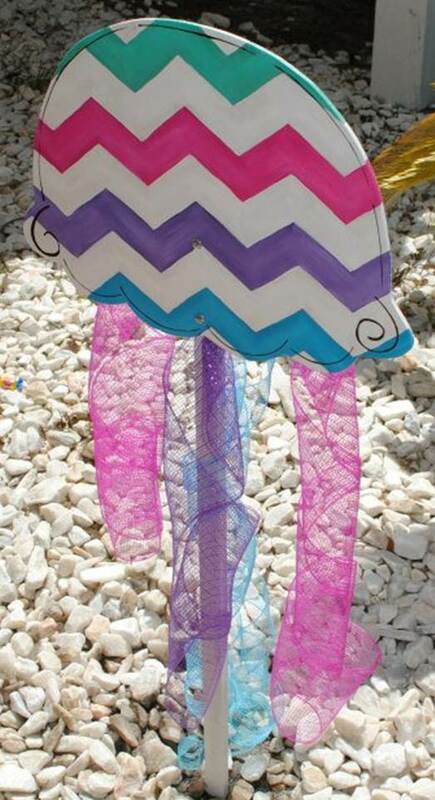 The party was filled with several DIY decor projects including an “oyster” portrait station, festive wreath, and hanging jellyfish. 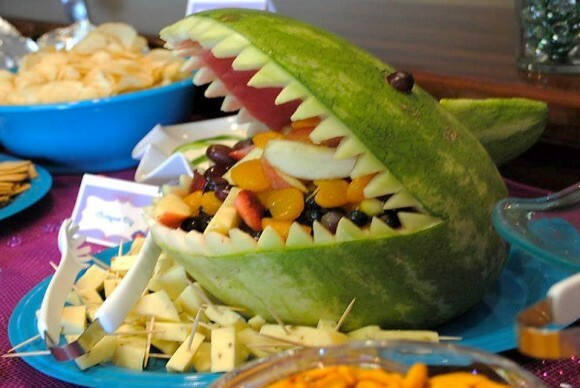 Letting the theme continue throughout the food table, my favorite additions included the shark shaped watermelon and color candy bar sure to delight any child (or adult!). *These are referral links. If you purchase something through one of these links, this site will receive some form of compensation which helps us bring you more fun posts like this one! 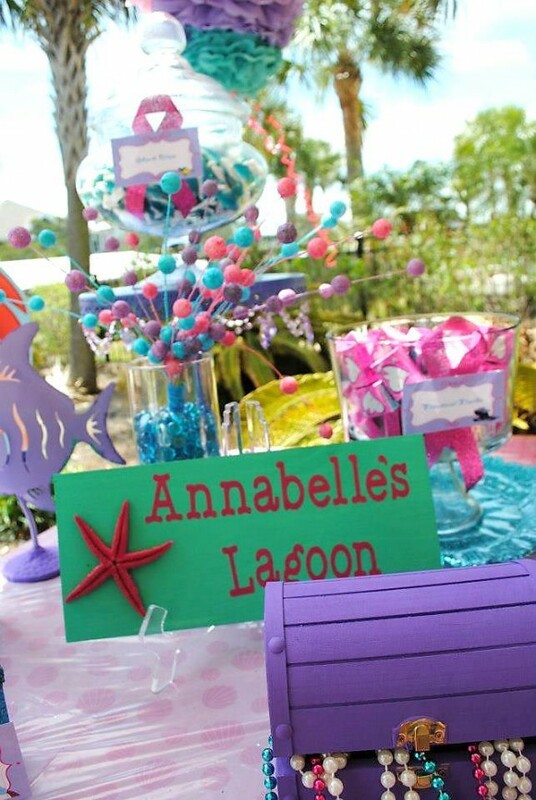 Filled with color – the pinks, purples, blues, and greens make this candy bar stand out! Don’t forget the treasure chest! 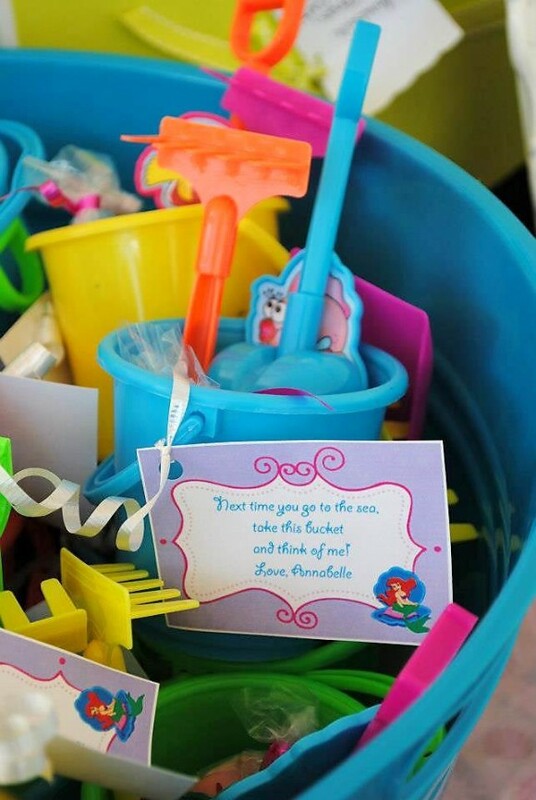 Has your child had a fun and colorful birthday party recently? We would love to see it! E-mail info@sweetteaproper.com for more information on showcasing your party!